Downing Germans easy task for Famous Automobile Racer. Tells of Arial Warfare. Ace of Aces, Who Fought Many Air Battles in War, Details Experience Last Night. Last night at this municipal auditorium in Omaha, Captain Eddie Rickenbacher, American "ace of aces" and flying hero, thrilled an audience with some of his experiences in France. "Rick" proved himself a good public speaker, as well as he has proved himself a good airman. He paid glowing tributes to some of the American airmen who were his friends. "People often ask me what are a man's feelings when he is up in the air engaged in a flight with an enemy plane," said Eddie. "I didn't have any feeling that I can recall except the sensation that this machine before me was an instrument of the enemy and that it was necessary to destroy it or else it would destroy me. It was only after I had come down to earth again that the realization came to me that I had seen pumping bullets into a living, breathing human being like myself, and then I hated war more than ever." "I was given the first Spad flown by an American officer at the front. This was at the Chateau Thierry front and I felt I was about the last word in flying men. While I was making a flight in that plane one day with Capt. Norman Hall, I had an experience which I shall never forget. We encountered a squadron of 12 Hun planes. I attacked the rear one and sent it down in flames. I then zoomed up, but found that all the rest of the Hun airmen had discovered me and that I was the target of all of them. There was only one thing to do. I plunged in a vertical dive and did 12,000 feet in the twinkling of an eye. One of my eardrums burst as a result of the sudden change of atmospheric pressure." "The bravest sight I ever saw I witnessed on the Verdun front. Our squadron with several others was ordered out to a great attack, it was the biggest 'dog fight' I ever witnessed. We call them 'dog fights' when many planes are engaged. In this instance there were probably 70 planes fighting. They were plunging and zooming and crashing to earth and the air was streaked with incendiary bullets." "Lt. Wilbur White, one of our men suddenly saw the Hun leader attacking the rear man of the squadron, an inexperienced boy who had no chance with the seasoned Boche. Without a moment's hesitation, Lt. White plunged toward the Hun. The planes locked together and crashed to earth. The lieutenant had given his life for his friend." According to Soldiers of the Great War, Memorial Edition, 355 Nebraskans lost their lives in combat, 255 died of disease, 17 wounded and 30 were lost to accidents. Shortly after World War I, a group of ex-servicemen were discussing what the State might for the returning veterans. Dwight Griswold, then a member of the State Legislature (later Governor and United States Senator) suggested that a fund be provided that would always be available to help any veteran or their dependents. 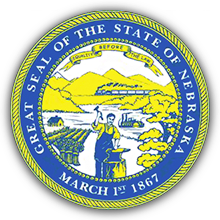 A measure was sponsored in the 1921 Legislature and the Nebraska Veterans Aid Fund came into being in the principal sum of $2,000,000. 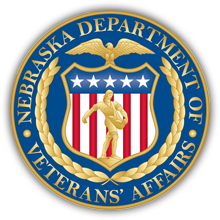 Today the fund continues to serve Nebraska veterans and has a value of over $47,000,000. For a few years, the Antioch vicinity was one of the most important potash-producing regions in the nation. Antioch grew from a small village to a town of about 2,000. When the First World War broke out, the United States was cut off from European sources of Potash, which was a component of fertilizer used in the cotton belt. Two University of Nebraska graduates in chemistry developed a method for separating potash from the alkaline lakes of the Nebraska Sand Hills. Large-scale production began in 1916.